When we talk to others, we generally get to the point quickly; not every time but most of the time. And I’ve found that we use as few words as possible to communicate; too much waffle and the point is lost. Why is it so different when we write? We ‘pad out’ the text with superfluous words? We waste lots of time writing & reading long expansive sentences when a short bullet point is far more effective! As I write this blog I’m trying not to waffle or pad it out with useless extra words – not a good idea when this blog title is about brevity! I’m continually focused on the number & quality of the words I use. As I refine this post, I will try to remove 10% of the words each time. When the Battle of Britain was raging in the skies Winston Churchill, then Prime Minister, had had enough of excessive waffle. 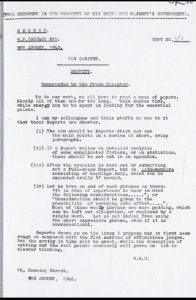 Here is his memo to the War Cabinet…. Today, Donald Trump is criticised for not wanting to read long detailed policy, preferring his briefing to be short. He is quoted as saying….. 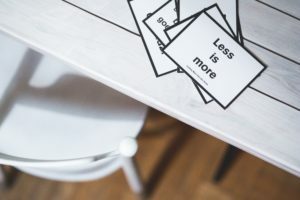 If you like brevity, straight to the point documents that really work then its time to focus on bullet points, numbered lists and removing 10% of the words with every edit. Less is more!